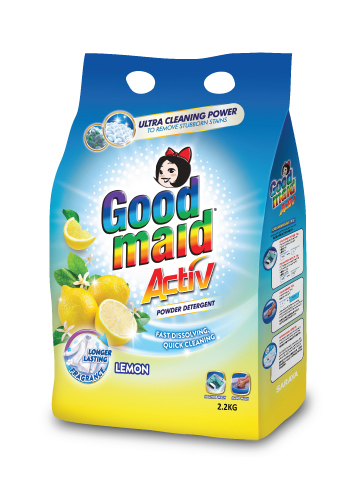 ACTIV Powder Detergent - Goodmaid Chemicals Corporation Sdn. Bhd. SUPERBRIGHT Formulation enhanced with TRI-ENZYME to penetrate deep into fibers to remove microscopic and organic stains, especially on collars and cuffs. 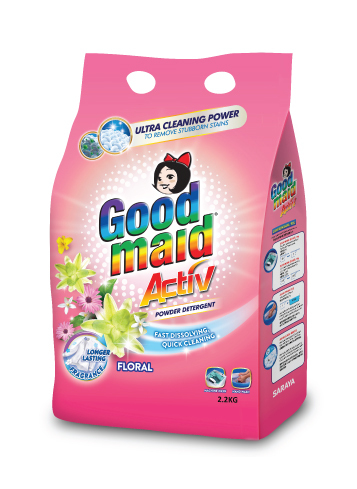 • Suitable for both hand and machine wash.
• Special formulation provides effective cleaning power, leaving clothes and other fabric hygienically clean. • Ultra Degreasing properties that removes oil and grease stains effectively. • Add 1 scoop to 10 litres of water. 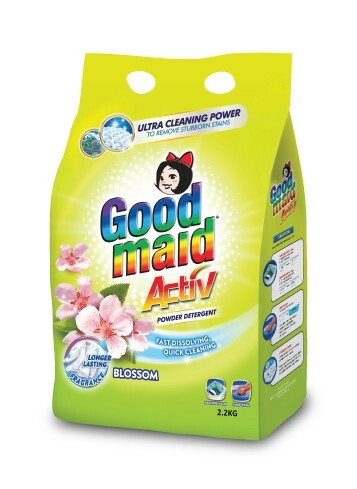 Detergent that penetrates deep into fibers to clean and remove stains.